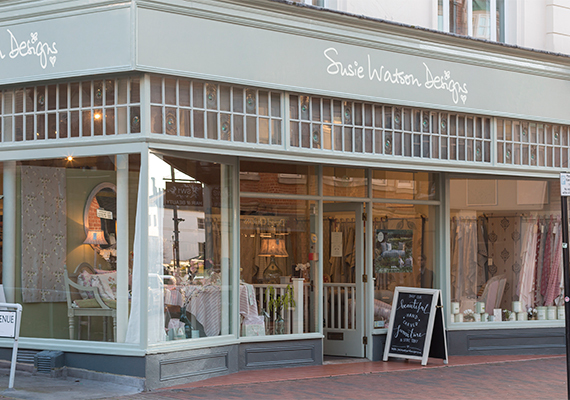 Visit us on Wednesday 19 June, 10am to 2pm and personally meet Susie Watson who will be hosting a talk to show how her beautiful homewares are made using traditional techniques by her team of highly skilled artisans. 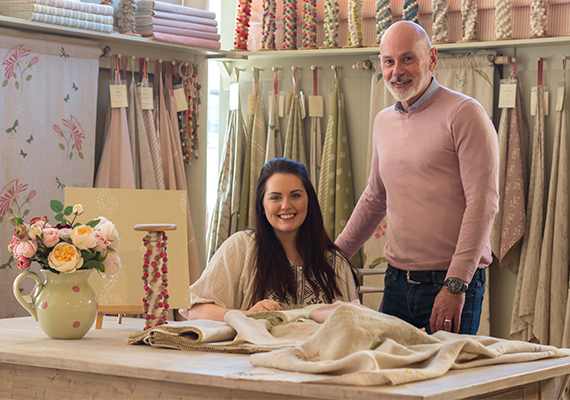 Our resident Interior Designers Steve and Gemma will be on hand to offer design advice and inspiration to create the perfect look for your home. Coffee and cake available to visitors. 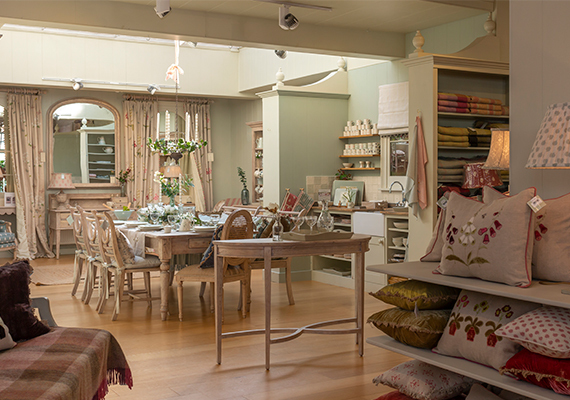 Situated in the historic spa town of Royal Tunbridge Wells, our showroom is home to a wide range of our collections. You will find a selection of our key pieces, including our hand-carved furniture, hand-printed fabrics, handmade cushions and hand-painted ceramics. 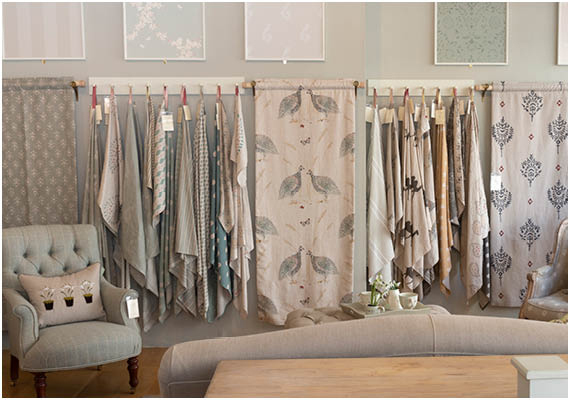 You can also meet our resident Interior Designers to discuss our made-to-measure curtain & blind service as well as our bespoke upholstered furniture range. Our resident Interior Designers, Steve and Gemma are here to offer advice and inspiration to create the perfect look for your home. From cushion combinations to a bespoke full interior design service, our designers are on-hand to help you design and decorate your space. To contact Steve and Gemma, please call 01892 531 526 or email tunbridge.fabrics@susiewatsondesigns.co.uk. The spa town of Royal Tunbridge Wells, in the beautiful Weald countryside, is the perfect setting for our interiors range. The store itself is a Grade II listed building full of unique character featuring a beautiful sky light with original ceilings and a restful grey bedroom scene downstairs. You'll find us only short walk from the famous Pantiles, home to the Chalybeate Spring. Parking: is available outside of the store on the high street. Train Station: The nearest train station is Tunbridge Wells (TBW), just a 2 minute walk from the store. 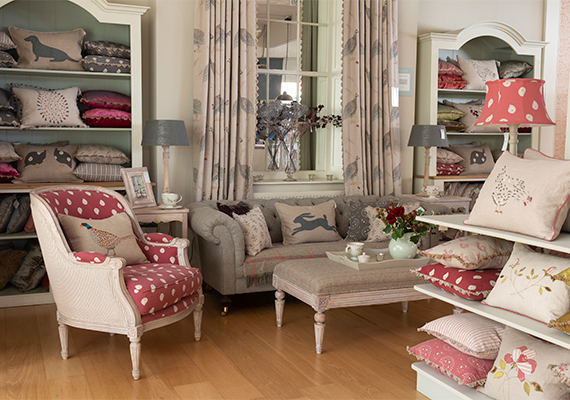 Dogs: Well behaved dogs are more than welcome in our Tunbridge Wells showroom. "Thank you so much for all your help with all our curtains, blinds, poles and tracks, we are so grateful, everything looks fabulous! Both our bay windows look amazing, the tracks run smoothly and are very discreet and the curtain drop in both recesses is perfect! We now have beautiful windows throughout our home which now feels lovely and cosy! Thank you so much for everything, we are so pleased. I will pop into the shop and say hello when I’m passing (and I can treat myself to something lovely while I’m there too!)" "I visited your Tunbridge Wells store and the staff were the most lovely girls and very very helpful, they found everything I needed and were so polite... very impressed with customer service."